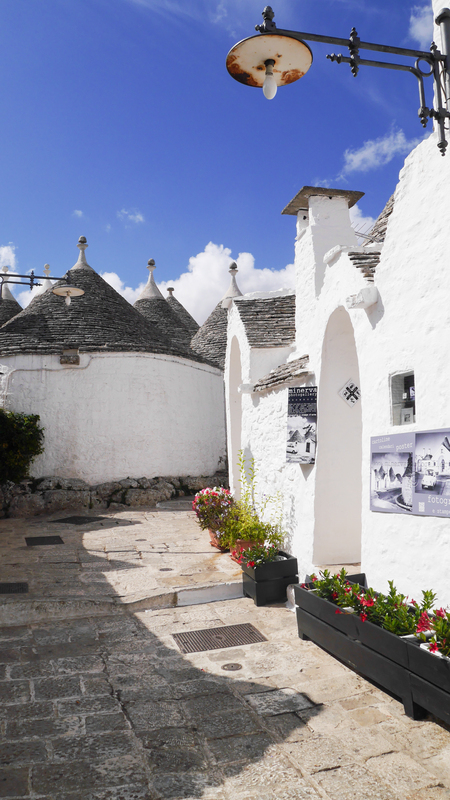 During our recent trip to the incredibly beautiful region of Puglia, Italy we explored the area around our hotel Nina Trulli. Even with a couple days of doing nothing more than lazing by the pool we still managed to get around quite a bit in our little hire car – thanks to everything being so close together and the roads being well built and blissfully quiet. 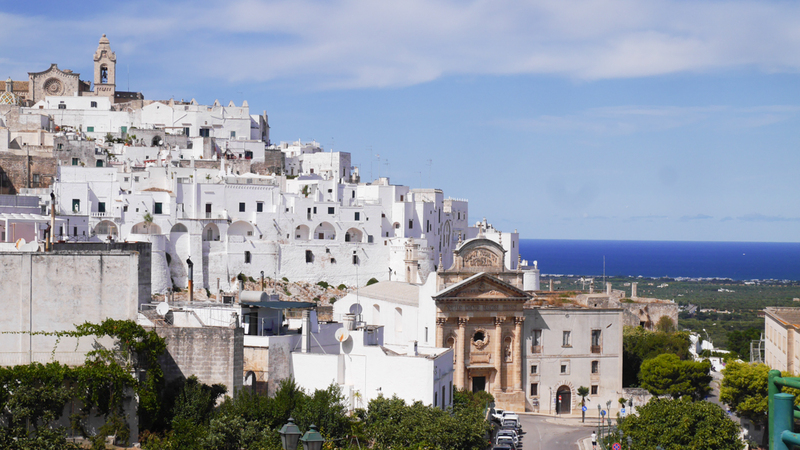 Puglia was an eye opener to me and has shot to the top of my favourite places in Italy alongside Venice. 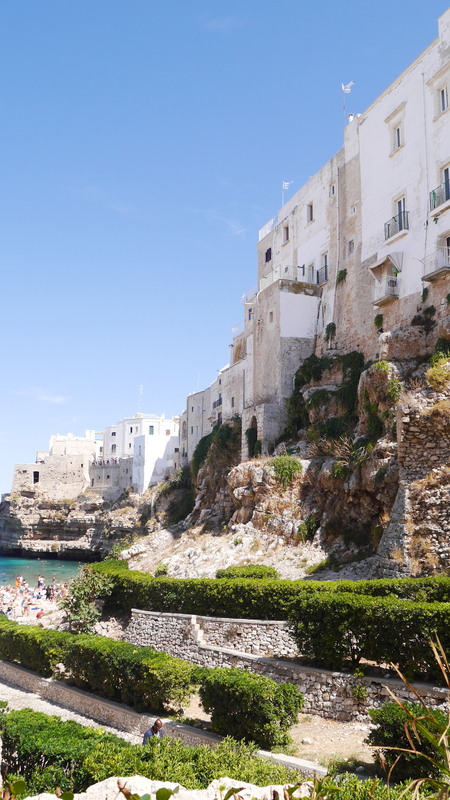 OK so I have A LOT of Italy still to see, but I would be surprised to find somewhere I love as much. 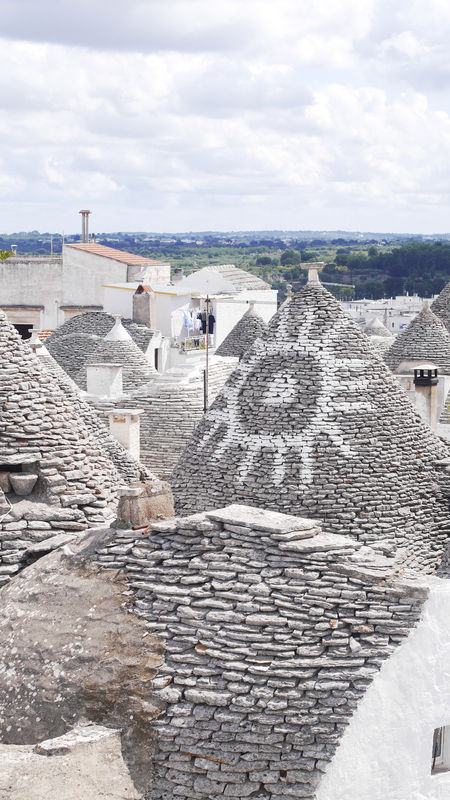 They say people travel to Puglia to eat and I have to agree. The food is simple, local and delicious completely devoid of flounce. 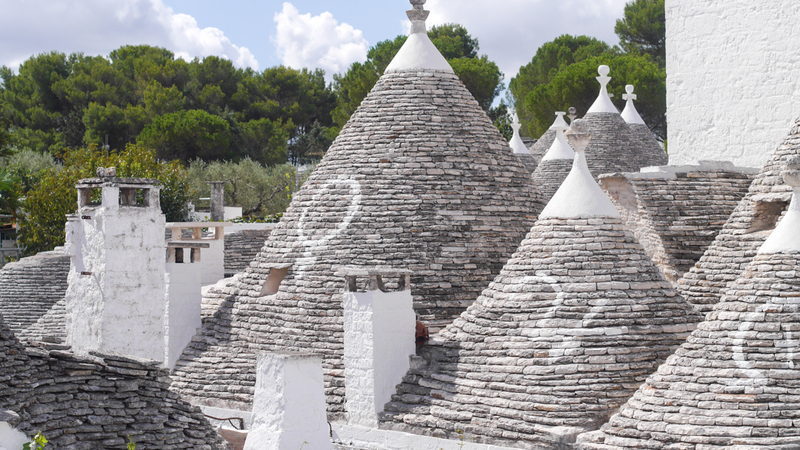 Wine is excellent – one of my favourite types of red ‘Primitivo’ is from this region so a house red was the perfect choice for me every time and it never disappointed. One thing that surprised me was the architecture. 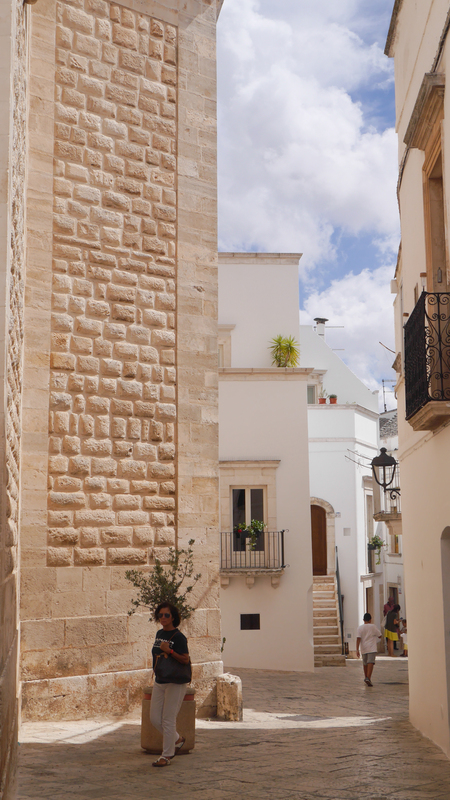 I know nothing about architecture but I do love a pretty building and Puglia has these by the bucket load. 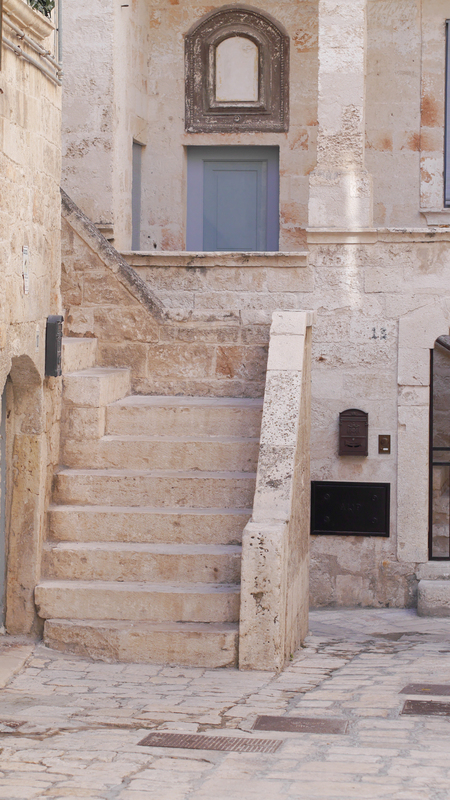 From the quaint and unique trullis to grand baroque cities, it is really very beautiful and there is no end of peeling paint and white narrow streets laden with scented flowers. 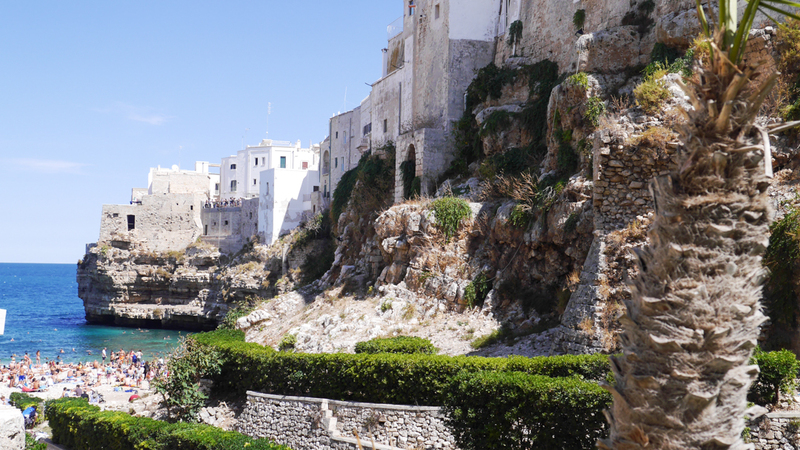 There were few English tourists (I know I am so snobby but it is nice to experience a different culture) and in September when we visited it seemed that there were very few tourists altogether. Here’s a few of the highlights from the trip. 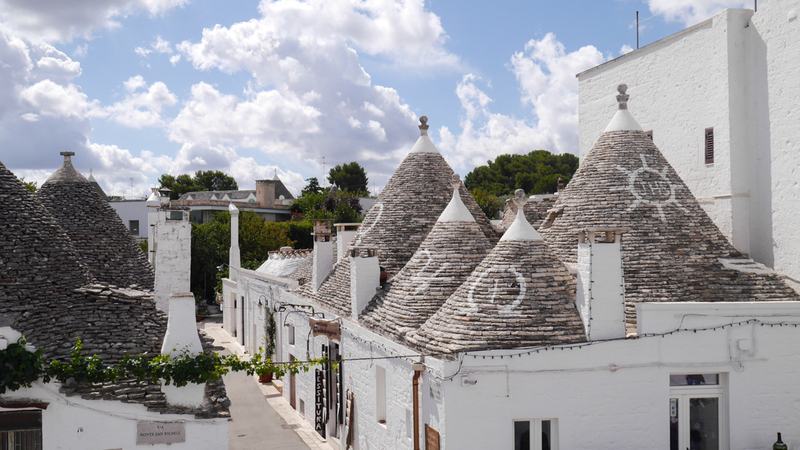 Arbellobello is a small town that has been designated a UNESCO World Heritage site because of the large concentration of the beautiful Trullo. 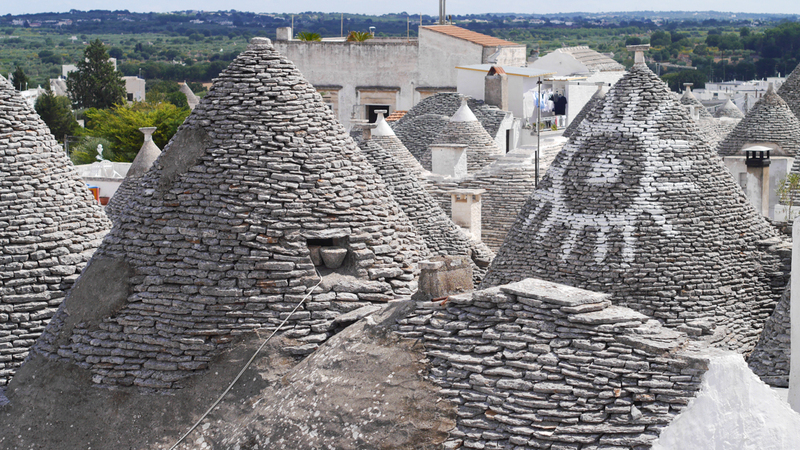 These gorgeous building are a common site across this part of Puglia but are in there highest numbers here and it is worth a visit to see them. I would getting arriving early though – we arrived at 10am and it was already getting busy. 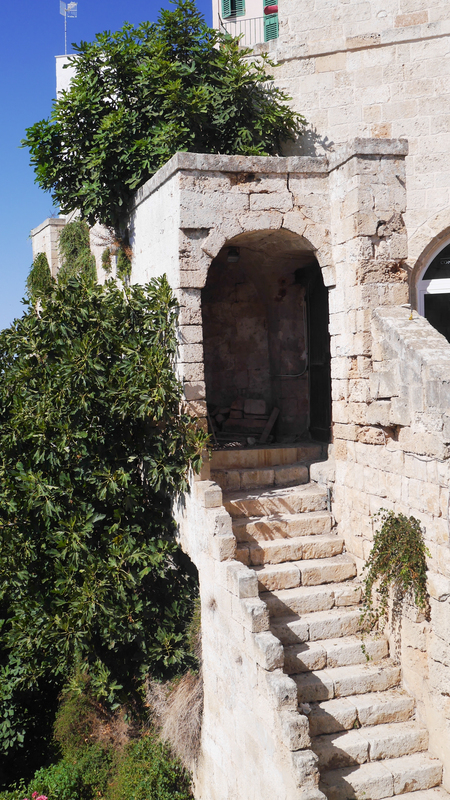 It was the only place we visited that felt it was on the ‘tourist’ map. 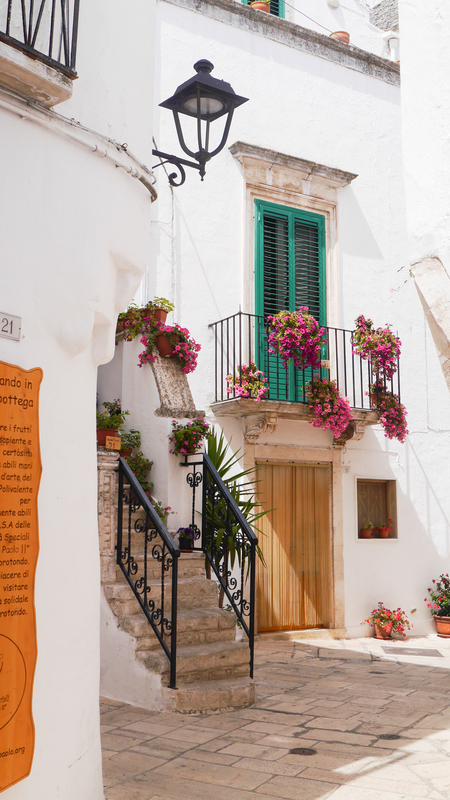 Our friends who had visited Puglia earlier in the year recommended this town as the prettiest of the nearby towns and it didn’t disappoint. 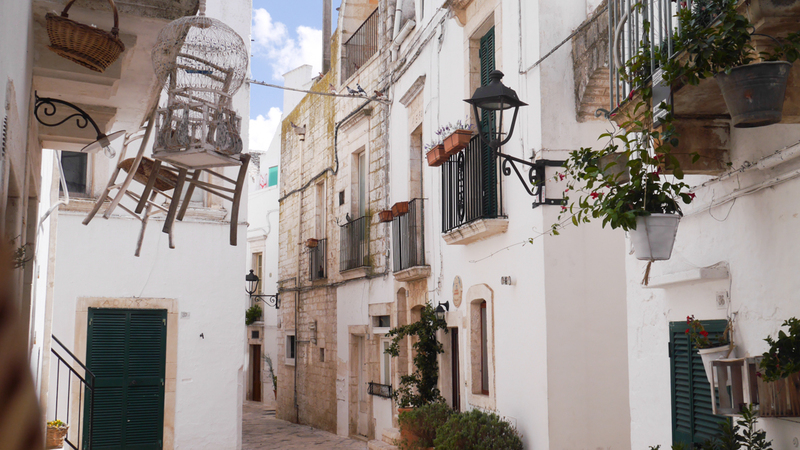 We meandered along winding streets admiring the faded grandeur; peeling white paint, faded shutters, white streets. There isn’t much to do here aside admire the prettiness and stop for a coffee which is perfect for me! 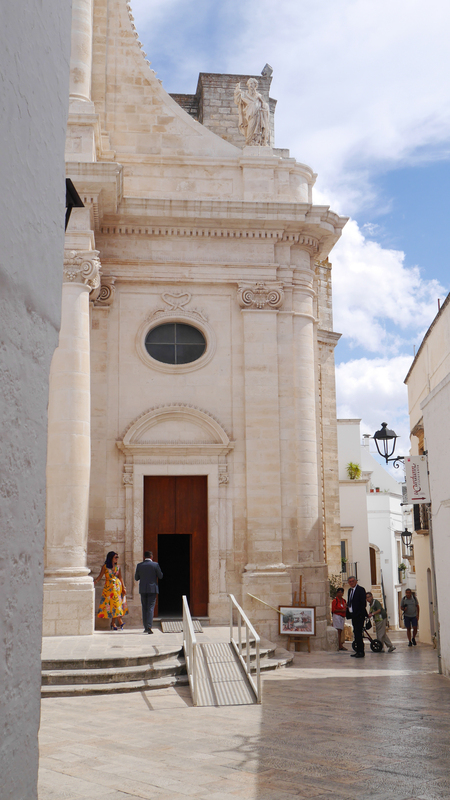 After Locorotondo we popped over to Ostuni for the afternoon. 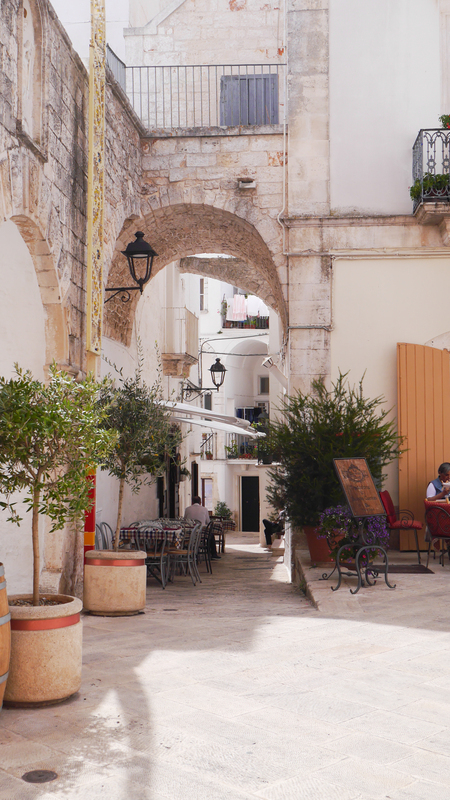 I had become aware of Ostuni thanks to the beautiful Instagram of Lois Avery (read Jennie’s inspiring career profile here) and I couldn’t quite believe I got to go there myself. 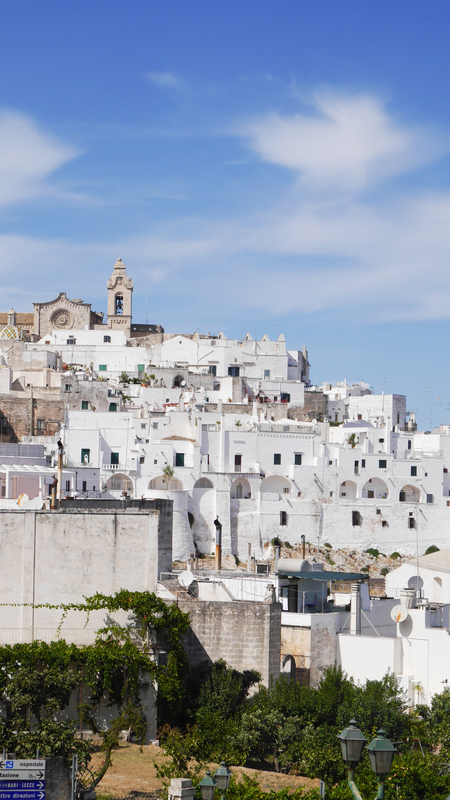 It is a gorgeous city with white streets, beautiful buildings and plenty of places to eat and drink. 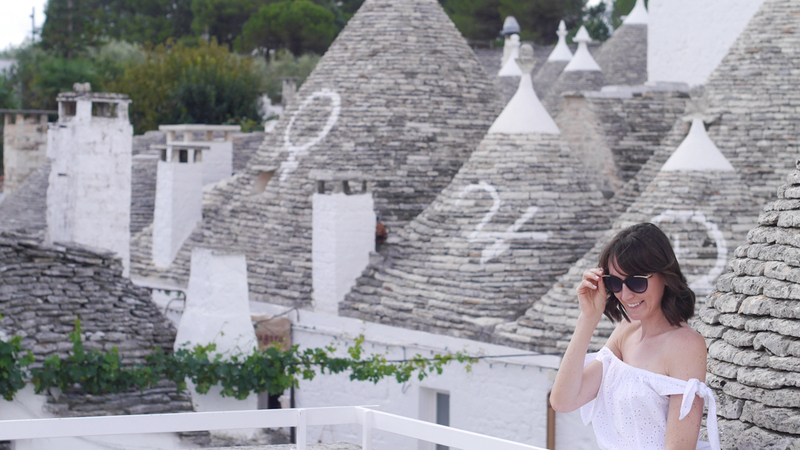 To be honest, our tummies drove our itinerary and we stayed for lunch before moving straight on to Spritz for the afternoon! 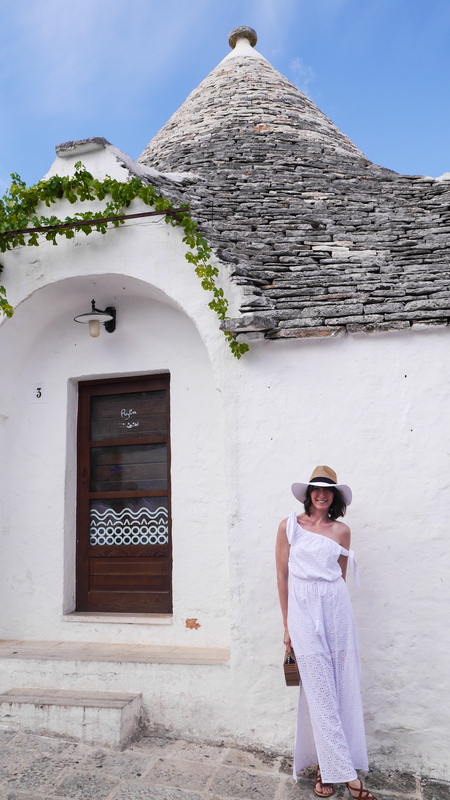 Not a lot of sight seeing was had, and even fewer photos were taken but we did manage to snap my favourite picture of me from the holiday and know enough that I would happily come back and would eagerly recommend others to visit too. 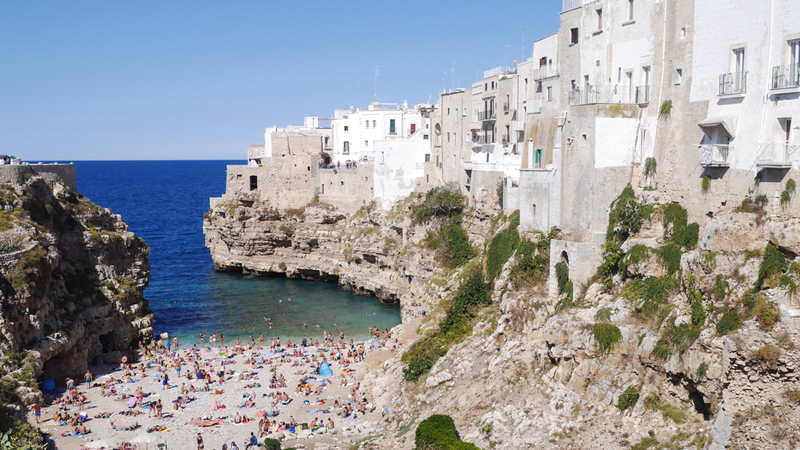 This epically beautiful beach is the thing of Italian dreams….which means that alongside its beauty it is also very uncomfortable and jam packed! 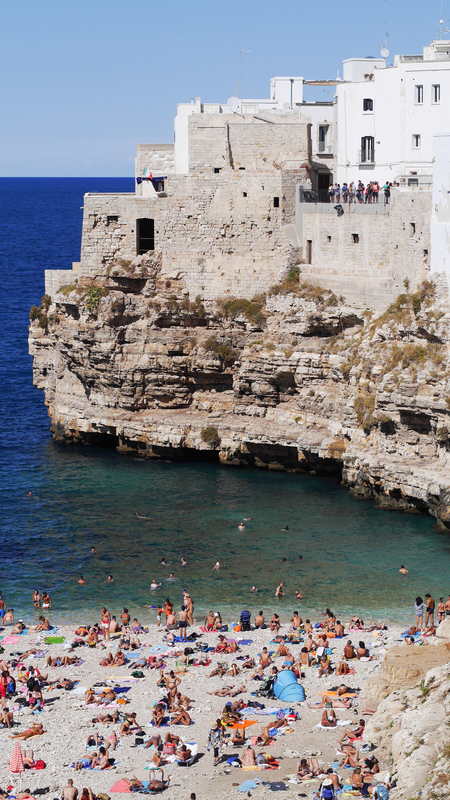 Incidentally, just the way Italians like their beaches! 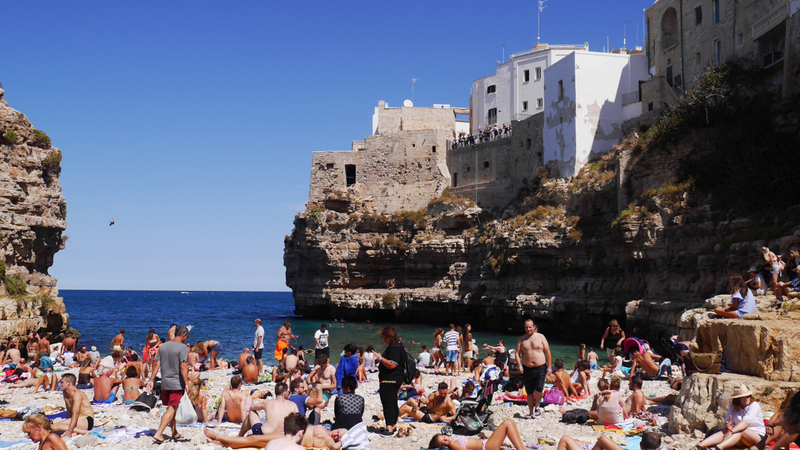 We spent the morning here (sitting up s I just don’t know how the Italians not only lie down but sleep on the stones) reading books, people watching and dipping in and out of the glorious water. When our tummies started to rumble it didn’t take long to find an amazing pizza restaurant followed by a wonder around the town and a cone of gelato, naturally. 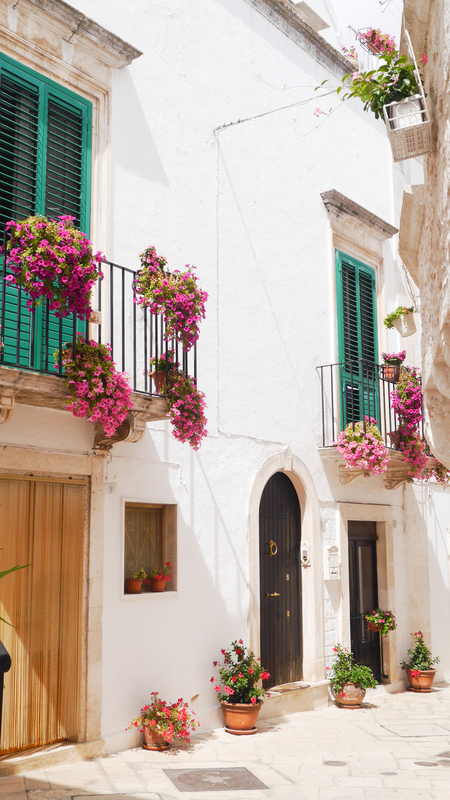 I spotted my next property purchase of dreams – a second floor flat with large juliette balconies overlooking a small bustling square full of osterias. 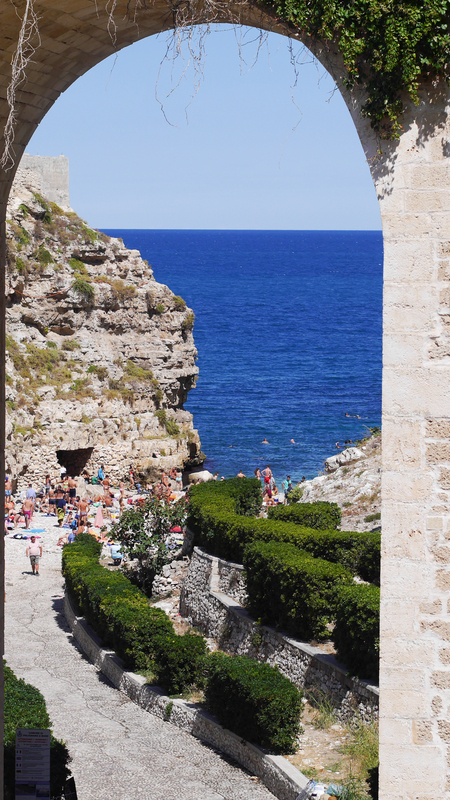 I imagined the next ten years of summer holidays; morning swims, siestas in cool linen, curtains gently waving in the breeze and the scent and sounds of the little square below me as I got ready for the evening out. Well, a girl can dream can’t she! Have I convinced you to visit yet? 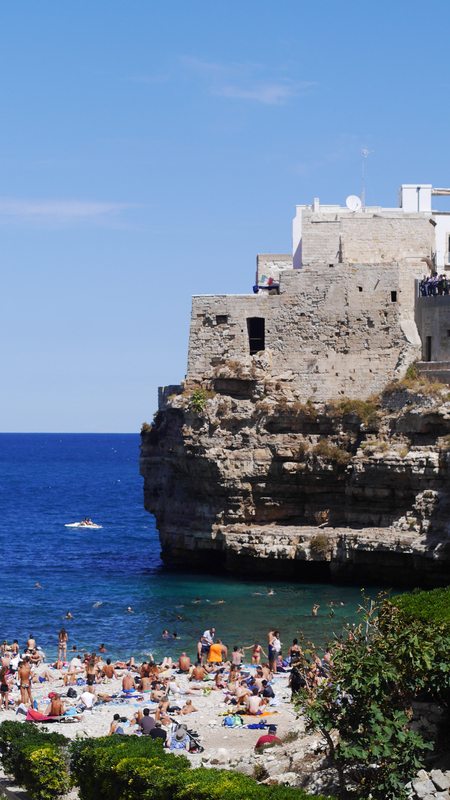 If you are looking for a holiday destination that is a little bit different, authentic, relaxed and utterly gorgeous then Puglia is the one for you. Honestly, I loved it and we will definitely be returning.